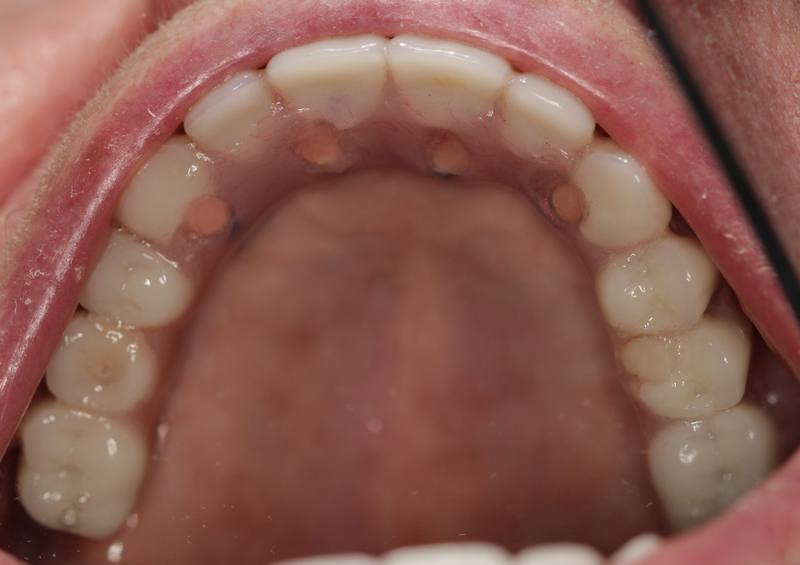 Dental Implants are artificial tooth roots, used for the fastening of crowns, bridges, without polishing the adjacent teeth or to provide better maintenance of partial and complete dentures. 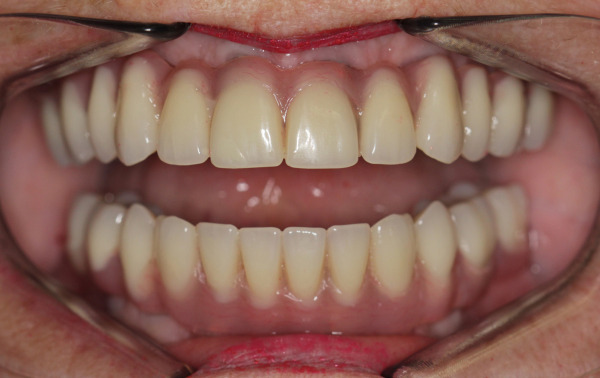 Teeth implants are a permanent solution, extremely functional and aesthetically no different from natural teeth, and thus they significantly improve the quality of life. 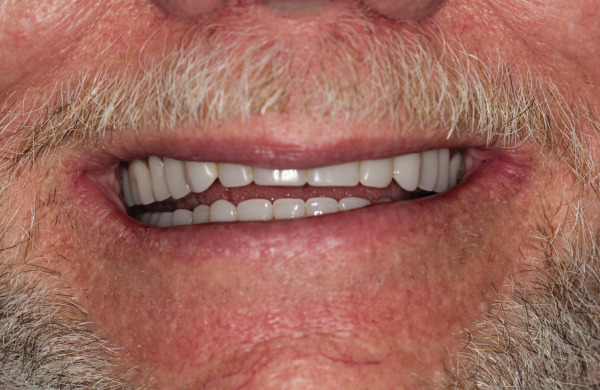 An Implant Retained Denture is a denture which is supported by implants, installed into the bones. 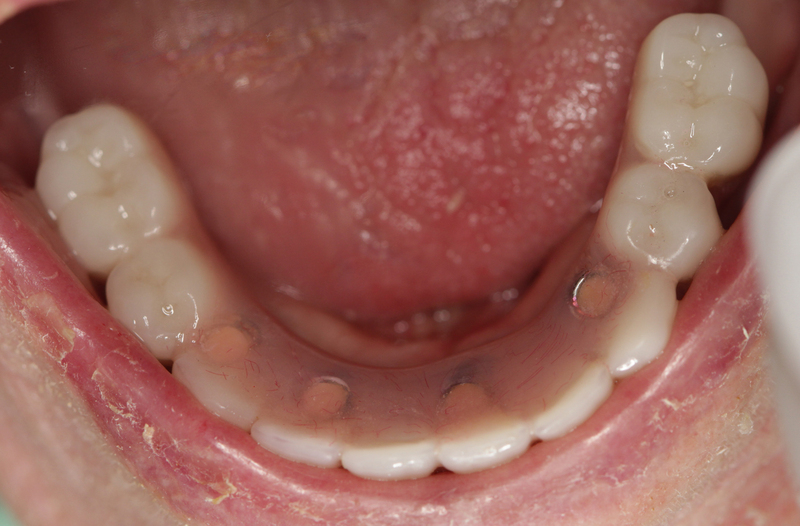 Traditional Denture is attached to the gums. 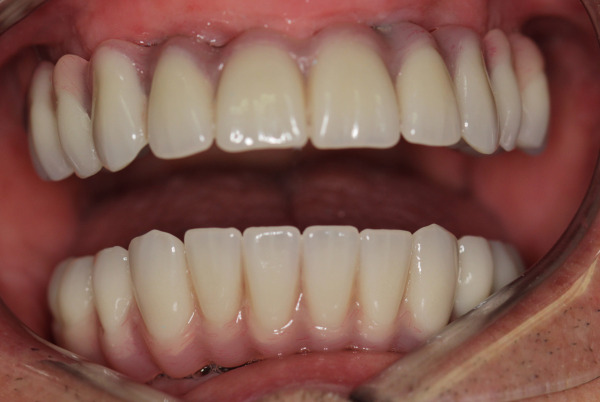 Therefore, the Implant Supported Denture is more stable and comfortable for the patient. 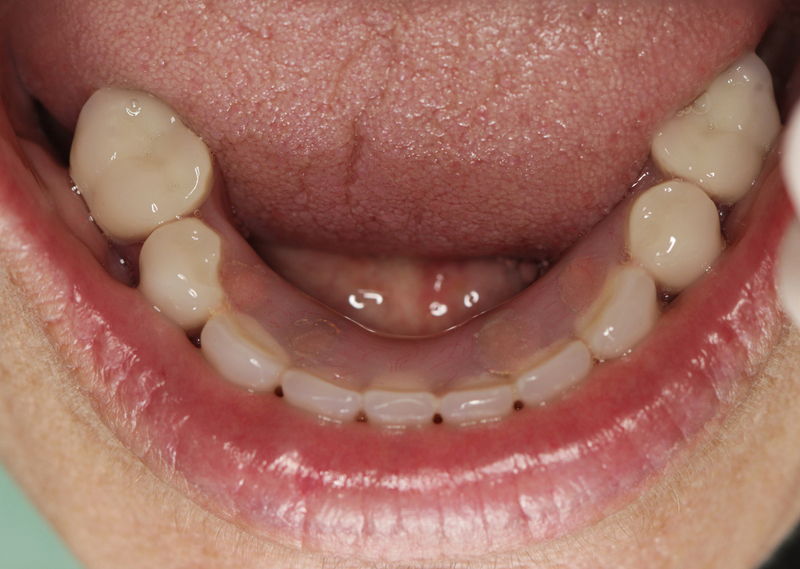 2 implants placed on the lower for better retention of a lower denture. 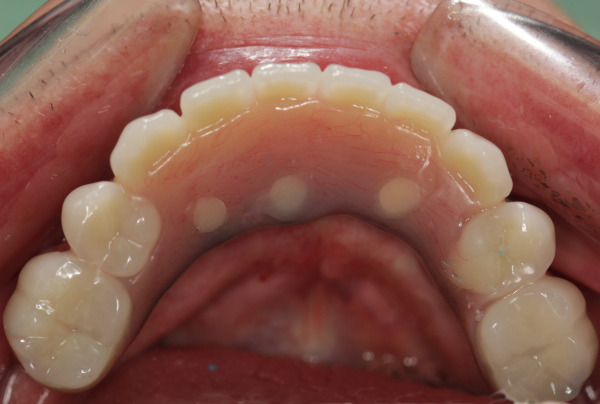 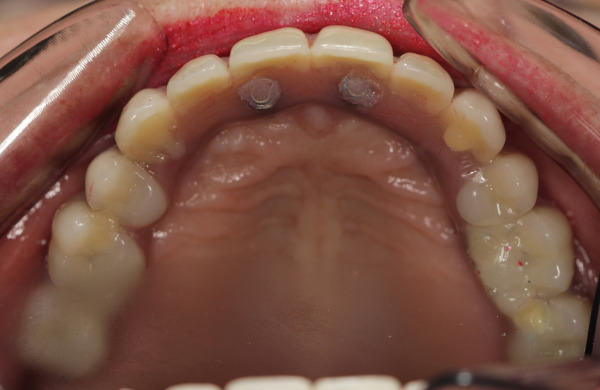 6 implants placed on the upper arch to preserve bone and add strength. 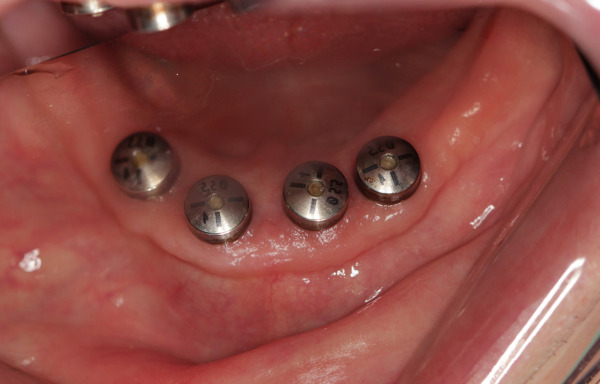 A bar is attached with 4 locators that will attach to the upper denture. 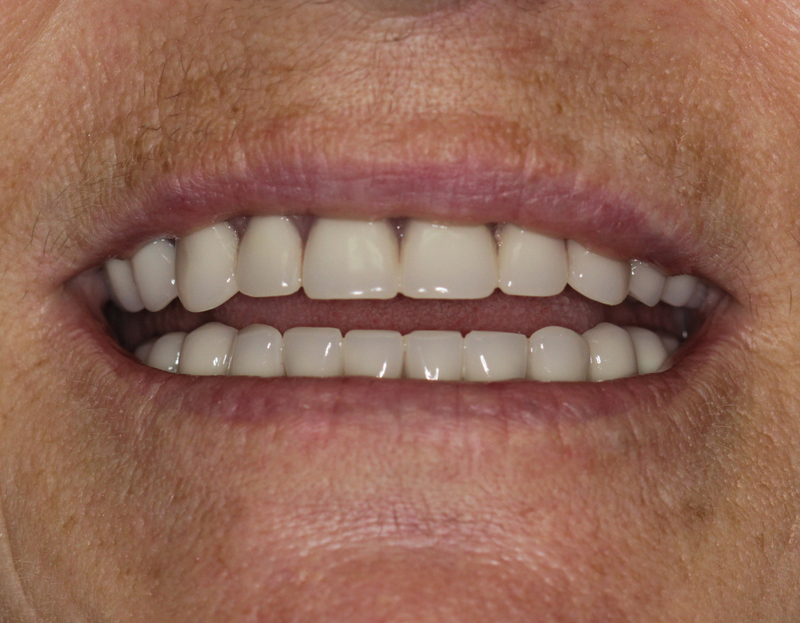 The final upper denture without palatal acrylic for better comfort to the patient. 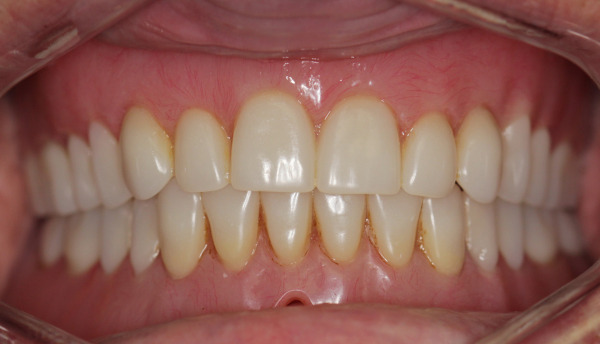 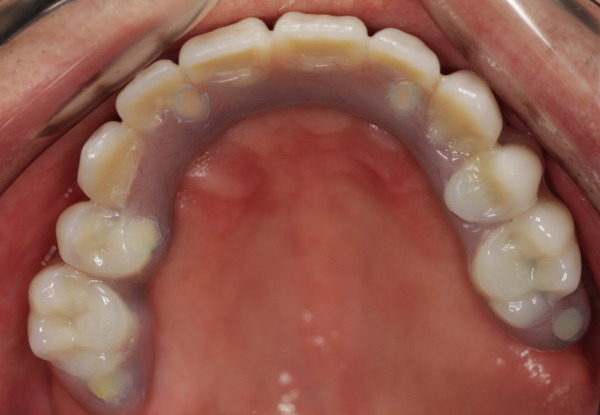 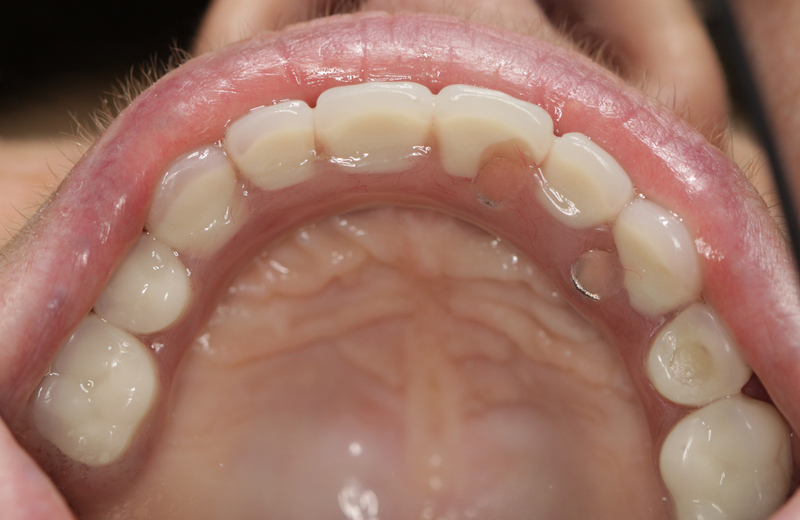 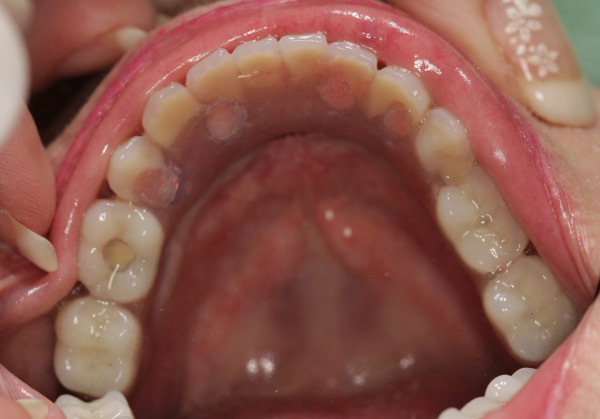 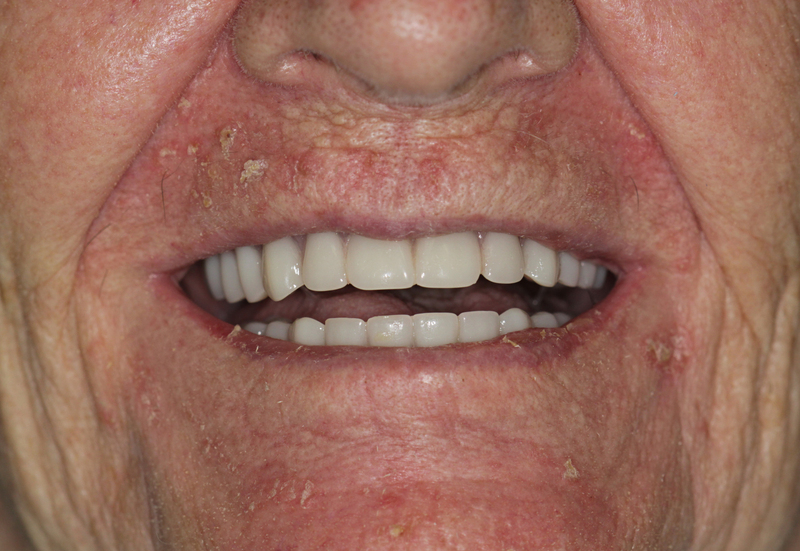 Due to the amount of bone loss the patient has, pink porcelain was added to mimic gum tissue.